Thank you to everyone who came out to our April mixer. It was great to see so many familiar faces and a lot of new ones as well. Special thanks to Lansdown for hosting us in their Big Snug - a perfect venue for mixing and mingling. The appetizers they provided were excellent as well. 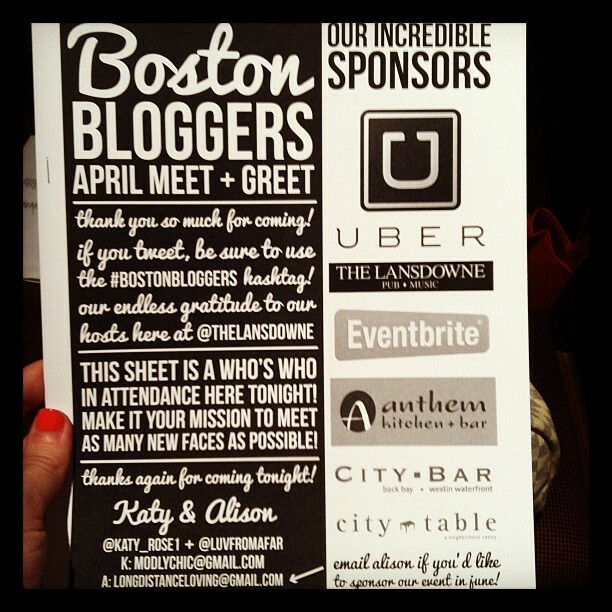 Thank you, also, to Uber for providing all the attendees with a $15 account credit by using BostonBloggers. Check out more photos in the Facebook album. 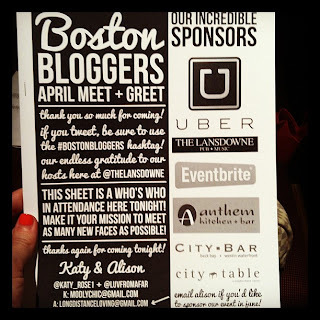 Stay connected with us via Facebook and the Twitter hashtag #BostonBloggers. Details of our June event should be released in a week or two.